It all comes down to the final day of the brief yet entertaining Quadrangular series as Ireland take on an upbeat Netherlands side in a winner-takes-all match. Netherlands have been brilliant with two all-round performances to see off challenges from Scotland and Oman while the Irish have ridden on their captain's amazing performances at the top of the order. With the Al Amarat pitch only getting better and better, another highly entertaining match is on the cards with global stars such as Ryan ten Doeschate and Kevin O'Brien gracing the match in what is a virtual final. No changes are expected for the Irish with their makeshift opener, Kevin O'Brien coming good in their previous match against Scotland. A century stand from their best batsmen at the top of the order set the tone for the rest of the match and considering their form, another big score is on the cards come Sunday. The bowling unit is looking fairly settled with young Joshua Little impressing in the tournament. George Dockrell could get a look in considering this match is their last before they take on Afghanistan. Possible XI: Stirling (C), Kevin O'Brien, Balbirnie, Tucker, Simi Singh, Getkate, Poynter(WK), Dockrell, Chase, Rankin and Little. Several players such as Wesley Baressi and Timm van der Gugten were rested for their match against Oman although Ben Cooper did perform well in the match. Sikander Zulfiqar could make way for Baressi while Gugten could find himself playing in the side instead of Meekeren. Possible XI: Visee, Myburgh, Cooper, Baressi, ten Doeschate, Seelar(C), Edwards (WK), van der Merwe, Snater, Gugten and Klaassen. Wicket-keeper: While both keepers aren't slated to bat high in the order, Scott Edwards is the ideal choice to go with considering his ability to play handy cameos at the end. Although Stuart Poynter isn't a bad option, his inability to score at a fast rate in the death overs doesn't bode well for him. 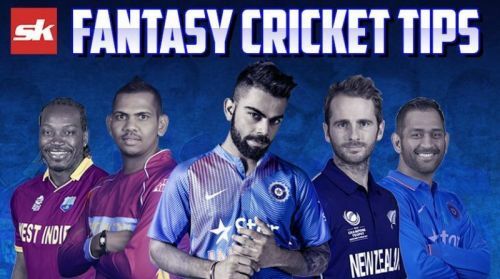 Batsmen: Paul Stirling, Stephan Myburgh and Tobias Visee have been brilliant at the top of the order in the previous two rounds and are great picks to have in your side. The likes of Andy Balbirnie and Ben Cooper have also impressed with solid knocks against Oman and would be viable options as well. All-rounders: With a slew of all-rounders available for the taking, Ryan ten Doeschate and Kevin O'Brien are must-haves in the side considering their star status and form. Inspite of their ages, both of them have in great touch across different leagues in the world and should be backed for this crucial clash. Either of Roelof van der Merwe or Simi Singh would also suffice in complementing them. Bowlers: Joshua Little's stocks have been on the rise with good performances to back the promise he has shown. Along with Shane Snater, he would be a great option for the fantasy team. The likes of Boyd Rankin and Fred Klassen are also possible options to draft in. Captain: Stephan Myburgh has been steady in both his outings for the Dutch and in a decider, a player of his talents should be backed to come up with a good performance. Other options include the likes of Paul Stirling and Ryan ten Doeschate, who rarely disappoint for their national sides.